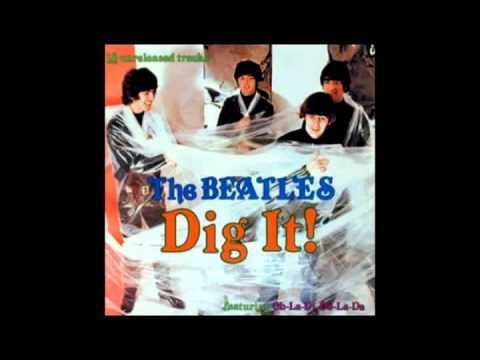 The Beatles Song of the Day is Dig It. Dig it was written by all four of The Beatles. The famous personalities and institutions that are listed in the song were made up by John Lennon in the studio. The original recording ran for over 8 minutes but was edited down to under a minute for the album. John Lennon: lead vocals, six-string bass, Fender Bass VI: Paul McCartney: vocals in full version, piano: George Harrison: vocals in full version, lead guitar, Fender Telecaster: Ringo Starr: drums: Billy Preston: Hammond organ: George Martin: maracas: Heather McCartney: vocals in full version. Produced by Phil Spector. Rating “Dig It”- * star out of 5 stars. Dig It was never released as a single. Recorded on January 26, 1969.
critic Bill Wyman ranked it #212 out of 213. No one else ranked it in their Top 100. “That was ‘Can You Dig It’ by Georgie Wood.